Jason Thomas, Meridian, .012, 8.18 (8.14 dial) 157.08 def. Sean Shaffer, Boise, .021, 7.49 (7.44 dial) 178.80. Quarter-Dan Lafferty; Rayce Kidd; Andrew Clark; Andy Schmall. Levi Burlile, Nampa, .072, 10.30 (10.14 dial) 111.45 def. Phil Sielaff, Pine, -.007 foul, 10.58 (10.57 dial) 125.80. Quarter-Lisa Thomas; Ken Clark; Mick Alley. Luke Jacobson, Caldwell, .028, 12.48 (12.43 dial) 101.77 def. Tyler Rush, Star, .059, 13.62 (13.59 dial) 99.92. Isaac Biebuyck, Nampa, .170, 10.30 (10.28 dial) 121.65 def. Jacob Wood, Meridian, -.002 foul, 8.93 (8.92 dial) 143.03. Hannah VanderMeer, Nampa, .095, 9.31 (9.30 dial) 69.44 def. Justin Hof, Nampa, .127, 8.19 (8.20 dial) 77.63. Ryan Resinkin, Emmett, .045, 10.82 (10.74 dial) 110.00 def. Dan Hurlbert, Eagle, .086, 12.11 (12.04 dial) 109.21. Patrick Bailey, Pocatello, .031, 10.43 (10.40 dial) 122.39 def. 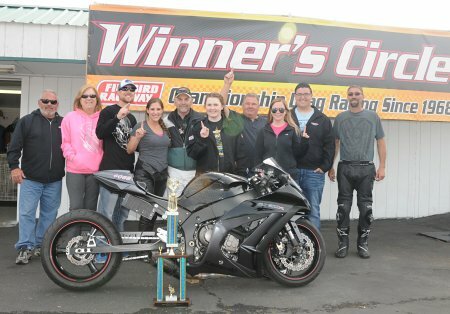 Carl Youngstrom, Caldwell, .093, 9.14 (9.13 dial) 147.39. Don Trafford, Nampa, .189, 9.34 (9.25 dial) 133.41 def. Chad Hofert, Meridian, .072, 9.16 (8.85 dial) 148.95. Ryan Resinkin, Emmett, .160, 10.80 (10.74 dial) 111.58 def. Terry Downard, Plummer, .121, 16.83 (16.68 dial) 83.76. Bret Ward, Boise, .124, 15.26 (15.23 dial) 86.85 def. Mike Toal, Boise, .198, 12.81 (12.88 dial) 119.50. Jaymes Buchanan, Boise, .055, 11.41 (11.46 dial) 123.23 def. Todd Martell, Boise, -.140 foul, 12.88 (12.40 dial) 107.15. Stephanie Meimann, Middleton, .030, 8.26 (8.20 dial) 85.98 def. Shannon Dougal, Eagle, .005, 8.56 (8.60 dial) 75.71. Linda Rowland, Notus, .108, 7.36 (7.35 dial) 93.85 def. Greg Davis, Boise, .054, 7.18 (7.20 dial) 91.30. Greg Buckert, Star, .059, 6.50 (6.37 dial) 91.59 def. Greg Sabatino, Meridian, .423, 7.63 (7.70 dial) 90.44. Liz Micheletty, Kuna, .037, 6.53 (6.44 dial) 121.94 def. Don Trafford, Nampa, .103, 5.90 (5.87 dial) 120.18. Todd Martell, Boise, .077, 8.49 (7.95 dial) 85.92 def. Glen Phillips, Middleton, -.023 foul, 7.99 (7.93 dial) 87.08. Ryan Resinkin, Emmett, .072, 6.74 (6.75 dial) 99.27 def. Dustin Davis, Boise, .027, 8.00 (8.03 dial) 83.52. Michael Clement, Meridian, .052, 7.67 (7.69 dial) 91.89 def. Jaymes Buchanan, Boise, .131, 7.37 (7.53 dial) 94.45. Layne Fiscus, Boise, .097, 9.32 (9.23 dial) 68.79 def. Ty Sasser, Boise, .031, 9.90 (9.74 dial) 59.06. 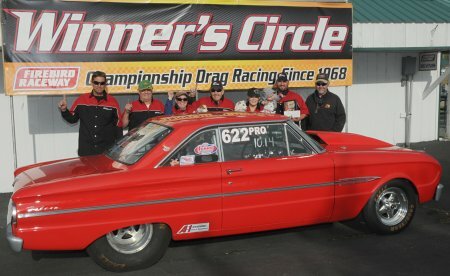 The weather was simply outstanding for the Opening Test Day of the Firebird’s 49th season of NHRA Championship Drag Racing. Racers literally came out of the woodwork for the first official day of testing in nearly five months. Two more opportunties are available on April 9th and 17th as we count down the days until the point’s season begins at the Stinker Stores Opener on April 23-24. We are really looking forward to the first major event of the 2016 Season. 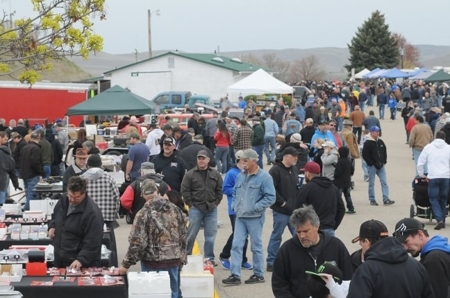 The 22nd Annual American Classifieds Spring Warm Up & Swap Meet returns, Saturday, April 9th. 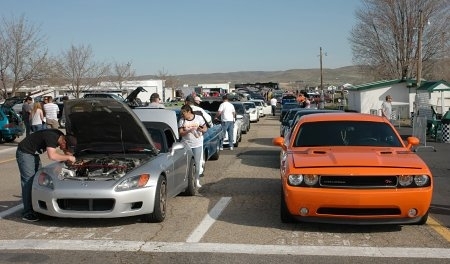 The full day of activities will include a big day of unlimited test `n tune runs, along with the biggest automotive swap meet in the five-state intermountain west. Hundreds of vendors and thousands of buyers will make their annual trek to Firebird for all kinds of parts, cars, trucks, collectibles and much more. Vendor gates open Friday, April 8th, no later than 2 pm (or earlier, should the line reach the highway) and stay open until 6:30 pm. Pre-event race car parking will be conducted on Friday, too, for racers hoping to get a jump start on Saturday’s testing runs that begin at 10:30 am. Adult admission is $7, kids 6-12 are $3 and 5 & under free. The day will include testing, which runs $30 (plus $7 for a 2016 Seasonal Number). Vendor (10’ x 20’) spots run $25. All vendors are required by state law to fill out an Idaho State Form ST-124 for resale. You will have the opportunity to fill out the required form at the event during check-in. We’re looking forward to seeing everyone at the “Swap till ya Drop” experience on the 9th. By all the early phone calls, emails and swap banter, it’s shaping up to be one fantastic event!